Rhymesayers Entertainment rapper and Minnesota native, Eyedea, passed away on October 17th at the tender age of 28. Details surrounding the death are currently scarce but his mother confirmed the death on Rhymesayer’s Facebook page. While highly underrated and unknown to many, Eyedea has released albums with DJ Abilities (as Eyedea & Abilities) as well as solo albums (under the pseudonyms Oliver Hart and Carbon Carousel) since 2000, and has been a staple of the Minnesota based Rhymesayer’s Entertainment label ever since. Eyedea also frequently collaborated with like-minded underground artists such as Atmosphere, Sage Francis and Aesop Rock. He gained recognition by building a reputation as a fierce battle rapper and formidable freestyler, winning competitions such as the Rock Steady Battle and HBO’s Blaze Battle in 2000 as well as Scribble Jam in 1999 (when he was only 18!). The underground will miss you. R.I.P. 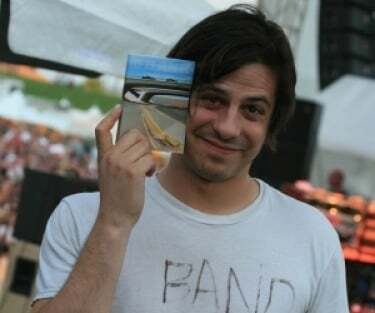 Micheal Larsen aka Eyedea.